Jeremy Sparks is an All-American: Leader. Scholar. Athlete. Author. Many of us would say it takes guts and a little bit of crazy to step toe-to-toe with a powerful, 1,700 pound bull. For Hall-of-Fame bullfighter, Jeremy Sparks, it took faith. In Go West, Jeremy shares his stories of strength and service. A remarkable and illustrious journey began at a young age when he received a God-given calling to become a professional bullfighter. Soon into his career he suffered a near-fatal electrocution, which, but for his faith in God, would have ruined his dream. Continuing in an astounding career for several years, Jeremy was accepted into the Professional Rodeo Cowboys Association. 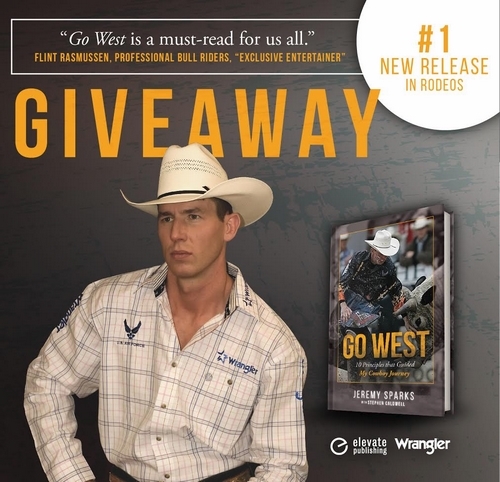 With God at the center of this fascinating story, Go West highlights the ten biblical principles that Sparks experienced and lived by as a professional bull fighter, officer in the armed forces and follower of Jesus Christ.